Geneva – Unitaid’s Executive Board has approved two new grants worth a combined US$ 74 million to prevent the spread of tuberculosis (TB), the world’s leading infectious killer, in populations most at risk of contracting the disease and to increase TB diagnosis in children. Through the first grant, Unitaid is investing US$ 59 million to ensure that people with latent tuberculosis infection (LTBI) – who are infected with the TB bacteria, but do not have symptoms and are not infectious – have access to new, shorter preventive TB treatment. The four-year grant will target people most vulnerable to developing active TB, including people living with HIV and children under age five. About one third of the world’s population is infected with the TB bacteria. Only a small percentage become sick with TB, but people with weak immune systems, such as people living with HIV, are at considerably higher risk of falling ill. A person living with HIV is about 26 times more likely to develop active TB. South Africa’s Aurum Institute, which is spearheading the TB prevention project, will work with the Clinton Health Access Initiative, KNCV Tuberculosis Foundation, Johns Hopkins University, and the Global Drug Facility – Stop TB Partnership, to implement the project in 12 countries in Africa, Latin America and Asia with high burdens of TB or TB/HIV. The target groups will receive a quality-assured, affordable short-course TB preventive therapy known as 3HP, to be taken weekly for a duration of three months. “TB infection remains the seedbed of the TB epidemic. Scaling up new, safer, shorter regimens for the programmatic management of latent TB infection has the potential to accelerate progress to ending the TB epidemic,” said Professor Gavin Churchyard, Group CEO of the Aurum Institute. 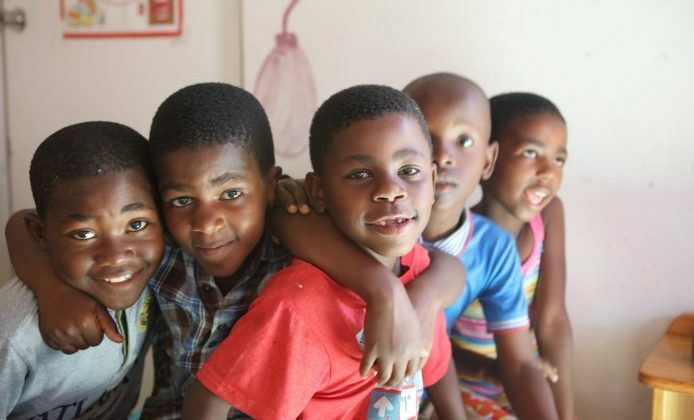 The second grant totaling US$ 15 million aims to improve the diagnosis of TB in children, particularly those also affected by HIV, malnutrition and severe pneumonia. The University of Bordeaux will work with health partners and academic institutes in France, Cambodia, Cameroon, Côte d’Ivoire, Mozambique, Sierra Leone, Uganda and Zambia to implement the TB-SPEED (Strengthening Pediatric TB Services for Enhanced Early Detection) project. Critical progress has been achieved recently with the launch of the first child-friendly TB medicine as a result of a Unitaid-funded project implemented by the TB Alliance and WHO. However, the TB detection rate remains low, due to challenges with diagnosing TB in children as they are less likely to produce sputum, the main laboratory sample to detect TB. TB-SPEED proposes an easier way of detecting TB in children through rapid battery-operated molecular tests in local health centers, optimized chest radiography, and simpler specimen collection. “We are hopeful that TB-SPEED will succeed in preventing children from dying of TB by increasing TB diagnosis and access to treatment,” said Mr Marmora. “While tuberculosis remains one of the top 10 causes of death worldwide, it is a great opportunity for the University of Bordeaux to contribute to the Sustainable Development Goal of ending the TB epidemic by 2030”, said Dr Tunon de Lara, President of the University of Bordeaux. Unitaid invests in new ways to prevent, diagnose and treat HIV/AIDS, hepatitis C, tuberculosis and malaria more quickly, affordably and effectively. It brings the power of new medical discoveries to the people who most need them. And it helps set the stage for the large-scale introduction of new health products by collaborating with governments and funding partners such as PEPFAR and the Global Fund.